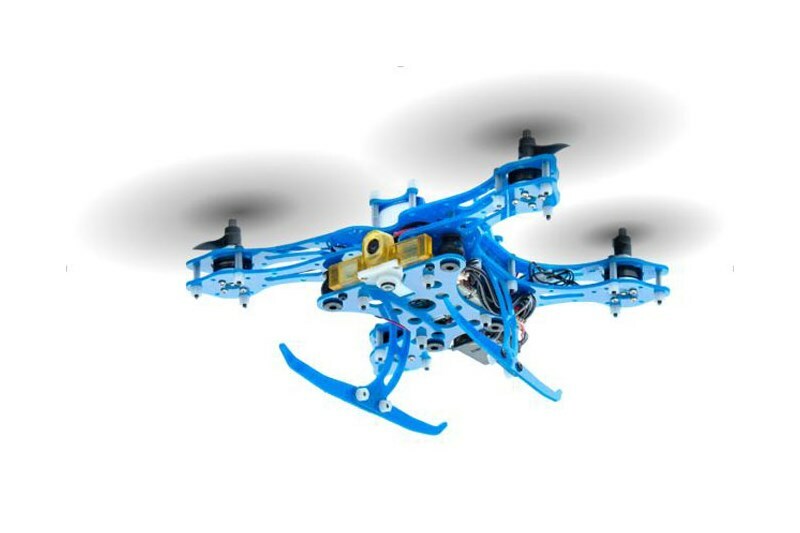 Qualcomm has announced a new integrated platform for high-end drones, allowing designers and developers to create new products that support 4K video recording with stabilisation, GPS navigation with obstacle avoidance, and real-time flight control. The Qualcomm Snapdragon Flight is a single development board measuring 58x40mm and is based on a Snapdragon 801 SoC. Qualcomm will be providing hardware and software aimed at high-end drones. Camera capabilities include simultaneous 4K and 720p recording and encoding, video stabilisation, image enhancement, inertial measurement, and optic flow for navigation and obstacle avoidance. There is also support for additional sensors such as a barometer. The Snapdragon 801 has a quad-core 2.26GHz CPU, integrated Adreno 330 graphics, a Qualcomm Hexagon DSP, and dedicated image and video processing hardware. Dual-band Wi-Fi n, Bluetooth 4.0 and global satellite navigation will allow for remote control and communications. Qualcomm’s Quick Charge tech will allow for rapid charging between flights, allowing for longer deployments and less turnaround time. The design potentially reduces the size and weight of a drone’s electronics, allowing for more flexible, less expensive designs, as well as longer flight times. The Qualcomm Snapdragon Flight platform will be targeted at high-end commercial and consumer drones as well as other robotic applications. It can be implemented as a reference design or customised further by developers. The first drones built on the platform will launch in the first half of 2016, including one from Yuneec. Are you dating a financial disaster?